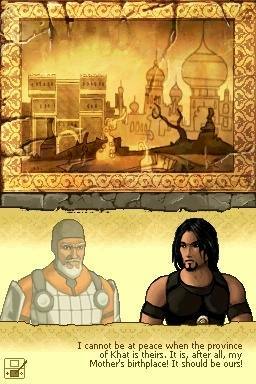 Battles of Prince Persia is the latest game of the franchise that is tentatively set between Prince of Persia Sands of Time and the Warrior Within. 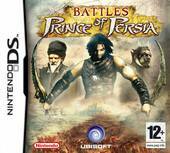 Once again gamers get to control their beloved prince in the Prince of Persia universe but unlike the other games in the series, this current incarnation has become a turn-based battle card game. Collect and trade cards: By advancing in the single player mode, collect money and purchase new cards to trade and make more powerful decks. Don’t like your cards? Trade them with your friends. Intricate storyline: Follow the story from the point of view of any of the participants and learn what happens to the Prince and his land between the stories of Prince of Persia Sands of Time and Prince of Persia Warrior Within. Nine different characters: Play any of the nine Generals in single player or in multiplayer. Create the army you want from any of the three factions and 27 units. Multiplayer mode: Fully customizable multiplayer mode ensures replay value. Challenge someone who has the game or someone who doesn’t in either Multiboot mode or Hotseat. Although I was a little awestruck that this current version of the game threw all the old school fun out of the window, the title was actually a little reminiscent of Advance Wars. Fortunately for those not too familiar with battle card games, the first stage in the game is a tutorial that aptly teachers the player the ins and outs of the title but as they say in the classics, "practice makes perfect" and that is the only way to truly master this title. Before starting the game, the player is awarded a stack of 30 cards from a possible 200 that have been randomly selected. Each of these cards have specific features that must be deployed at appropriate times in the game in order to succeed. Each turn in the game is called an hour and when the turn is over, the player can replenish his cards with other randomly chosen ones. 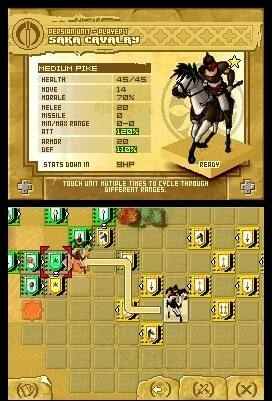 Of course the main aspect of the game are the battles themselves that has the player navigating on a checkered game board, moving his units and conquering enemy units. As with Advance Wars, there are a variety of different character cards with Generals being the most powerful card in the game and similar to chess, if you loose these characters (such as a Queen or Rook), completing the game may be extremely difficult. As you slowly progress through the game (e.g. completing each map), the Prince must also complete a variety of mini-quests such as finding the box of a thousand restraints that allows the young prince to capture nefarious foes from the underworld. The beauty of Prince of Persia Battles is that the random cards allow for almost unlimited replay value because you can never know what will be dealt to you which makes for some interesting gameplay. Graphically, Prince of Persia Battles on the Nintendo DS is rather bland and actually looks almost like the original game when it first came out that contains bitmap characters and enemies. The storyline is nicely progressed through some 2D cutscenes but unfortunately this title does nothing to graphically astonish the player, although there are a few nice effects here and there. In conclusion, Prince of Persia Battles offers the gamer a variety of different card games from skirmish, campaign mode and also an interesting 2-player mode. Obviously this game was made for the millions of children who cannot get enough of card games such as Yu-Gi-Oh who I'm sure will simply adore this game, especially if they have a friend with another Nintendo DS. Recommended for the younger gamer!